I have seen many social media posts lately that are filled with ooey goey chocolate desserts and are filled with all the things I can’t eat. I am gluten-free and dairy-free, which makes desserts a little difficult for me. Plus, I would rather fill my body with something nutritious even though I love sweets. 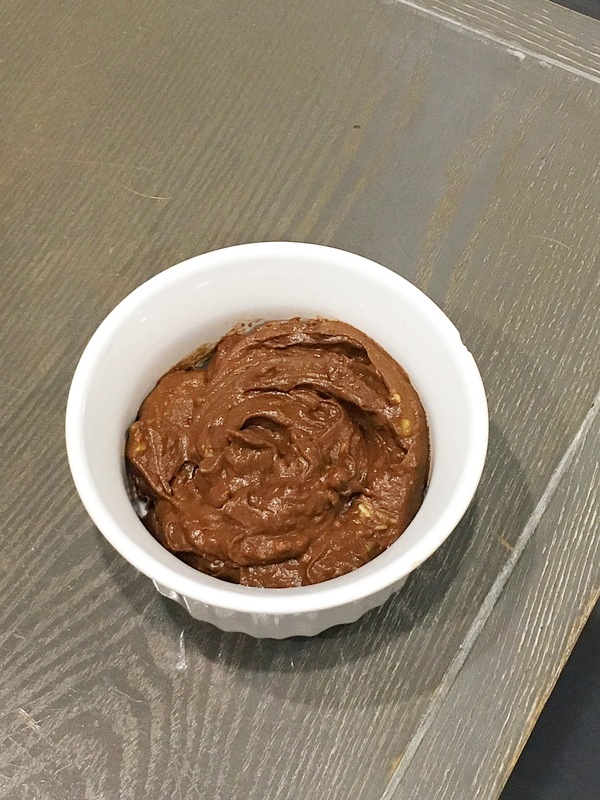 This chocolate avocado pudding is so rich and satisfying, you won’t want any other dessert. 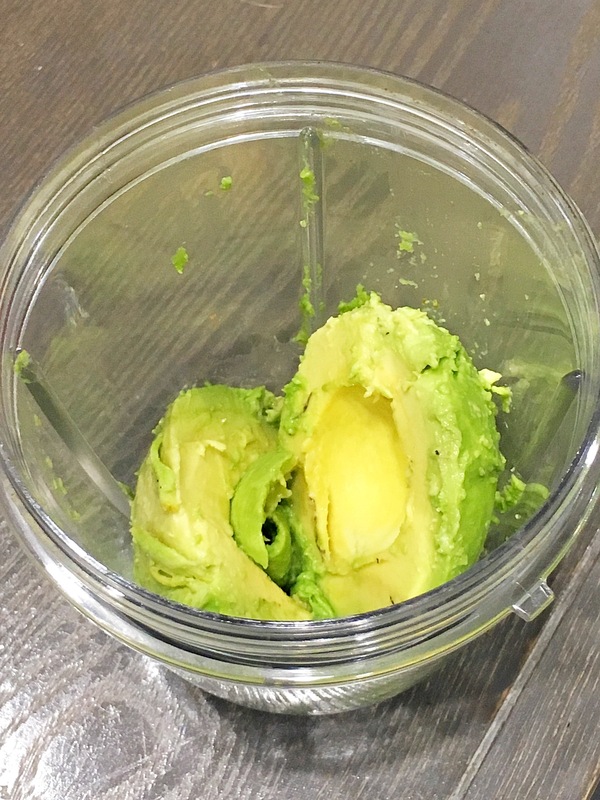 It is high in fiber, healthy fats and antioxidants. 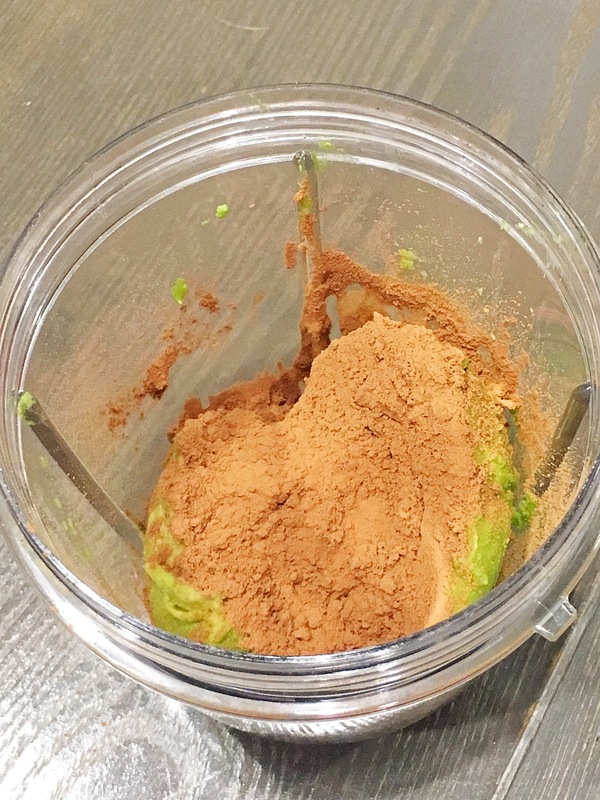 Place the avocado with the cocoa powder, water and maple syrup in a nutribullet or blender/ food processor to get puréed. I used a nutribullet and had to open it up a few times to stir it. Make sure the ingredients are mixed well and smooth. Remove the pudding mixture from the nutribullet and place in a bowl with your favorite toppings. 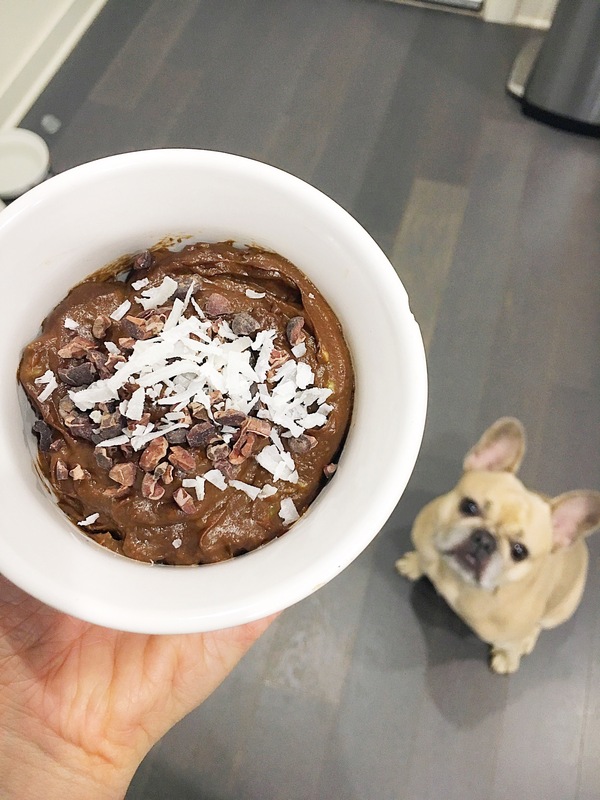 I topped mine with cocoa nibs and natural coconut flakes. Cacao nibs are high in antioxidants and magnesium. 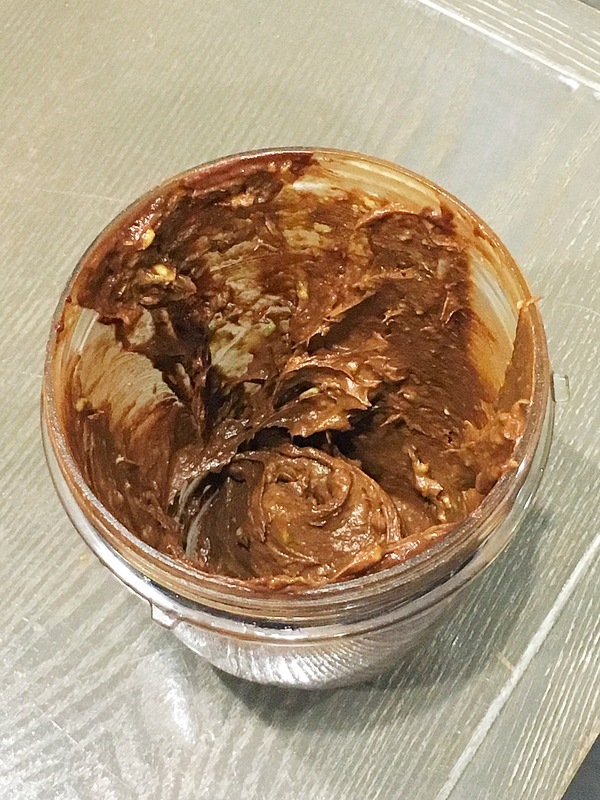 It will definitely give your pudding an extra crunch. It was so rich, creamy and SUPER chocolatey! Even my pup Bella wanted in on this treat.